In an exclusive chat with Radio X, Noel said an American had pitched an Oasis "rags to riches" musical to him - and he found the idea hilarious. Noel Gallagher has admitted that he might have blown the chance to make an Oasis musical a reality...because he found it so hilarious. Noel was talking as he unveiled brilliant new song The Ballad Of The Mighty I, which features Johnny Marr, on the Radio X Breakfast Show. "Somebody did talk to me once about a musical, recently, an American dude," Noel told Radio X London's Jon Holmes. "And after I'd stopped laughing, I realised that he'd walked off." Gallagher said the pitch was for "the rags to riches story of Oasis" to be put onstage. "After I'd belly-laughed and spewed up a drink, he wasn't there any more, so I don't think it'll be happening any time soon!" Sting's multi-million dollar musical The Last Ship closed on Broadway after less than three months - something Noel didn't seem to have a lot of sympathy for. "Some people have no taste, I find that staggering that people would not go and see a musical about a Geordie fella who doesn't speak in a Geordie accent who used to be in a band with a jazz drummer whose dad was in the CIA about him growing up in a shipyard. 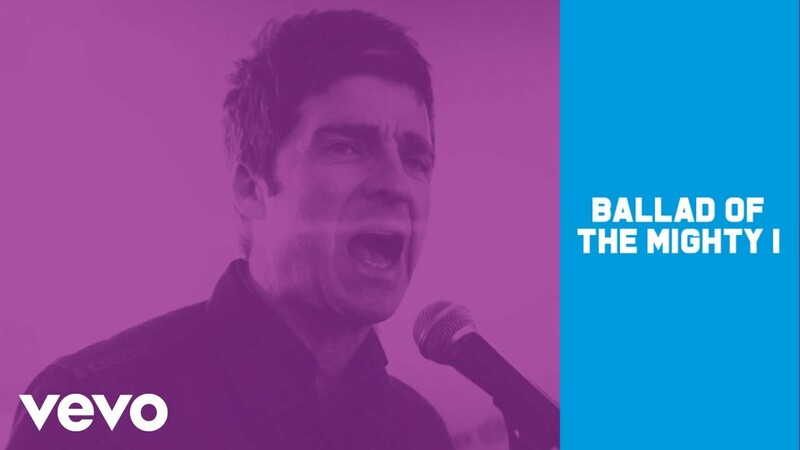 The Ballad Of The Mighty I is the second single to be taken from the second Noel Gallagher's High Flying Birds album Chasing Yesterday, out on 2 March.